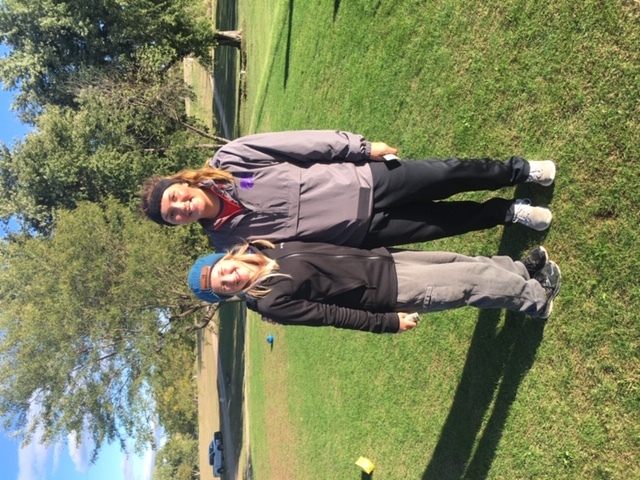 On a cold blustery Wednesday morning the Cheney Girls Golf team traveled to Lake Barton Golf Course for the KSHSAA 3-1A Regional hosted by Hoisington. The tournament was supposed to be held on Monday the 8th but because of all the rain the past few days it was postponed until the 10th. All tournament golfers struggled with elements as the wind chill was in the 30’s at the start of the tournament. Cheney was trying to give their best effort but the shots were just not falling as they went through the day. When the tournament ended the Lady Cards were in fifth place.